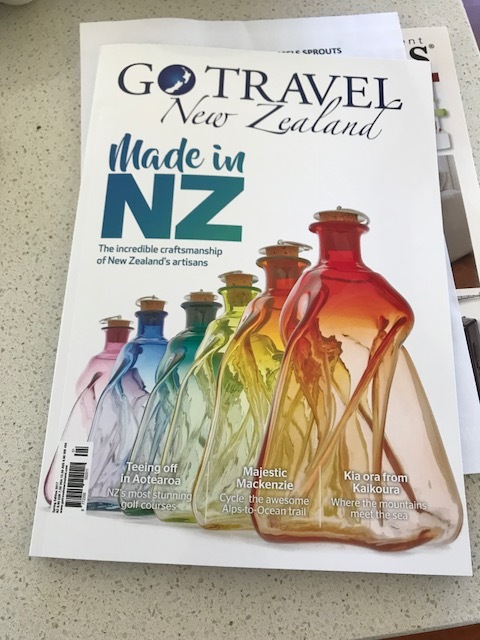 Our twisted oil bottles on front of the magazine. We make these in a wide range of colours. They are currently sold out but we will blow more as soon as we have received new corks from Portugal.